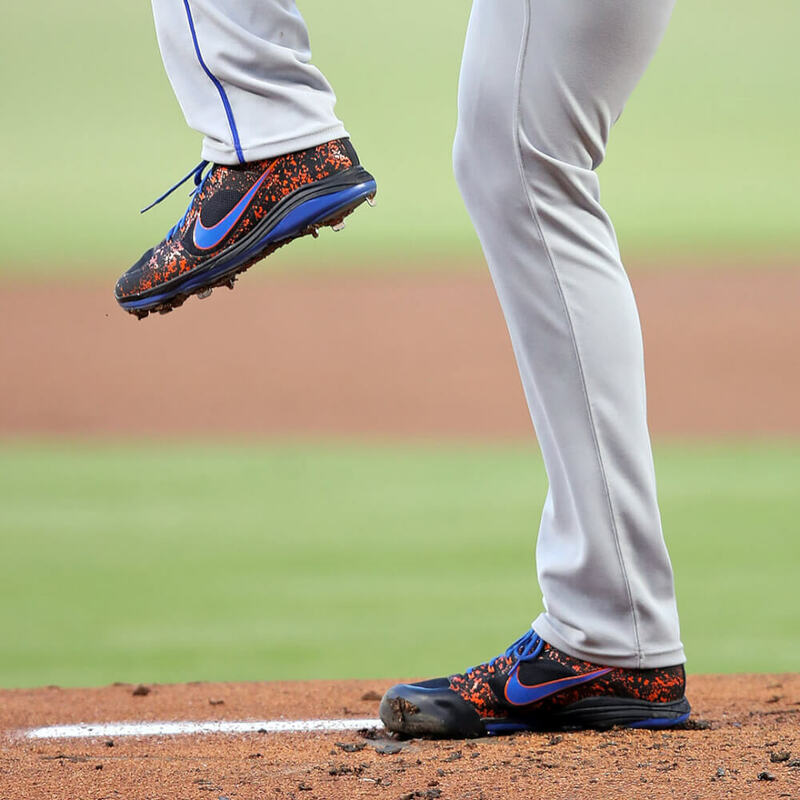 Noah Syndergaard debuted a full-Nike repertoire in his 2nd start of 2018, starting off the year with a player exclusive Alpha Huarache Pro with a flame(?) graphic overlay on a black base with blue and orange. 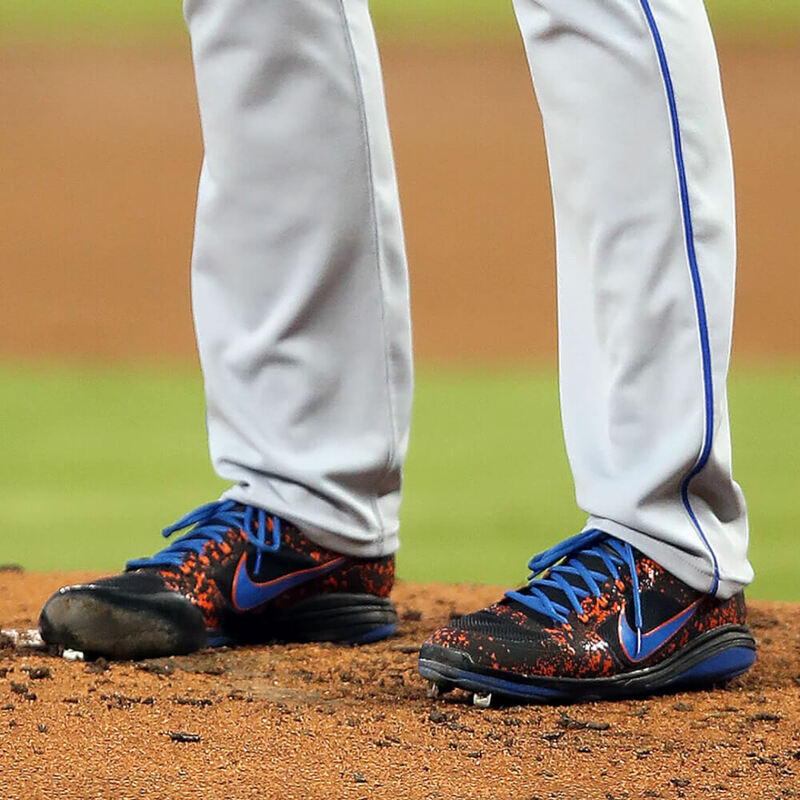 Those look like the home cleats for Thor, while the black/orange “shatter” overlay with blue swoosh Air Coops seem to be the away choice. 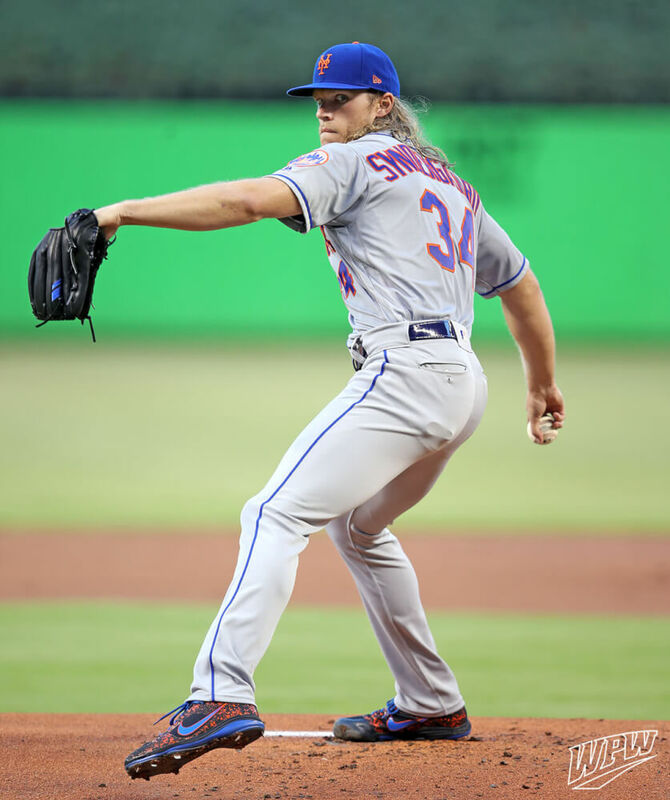 Syndergaard’s cleats are just for the man himself, and the Air Coop is pro-only, though we made a Thor-inspired Air Clipper ’17 that you can shop/customize at the link.